After announcing his departure from political campaigns, Kanye West is back to broadcasting his controversial thoughts on Twitter. While the rapper is no stranger to public disdain, his recent tweet inadvertently had a brand roasting him. 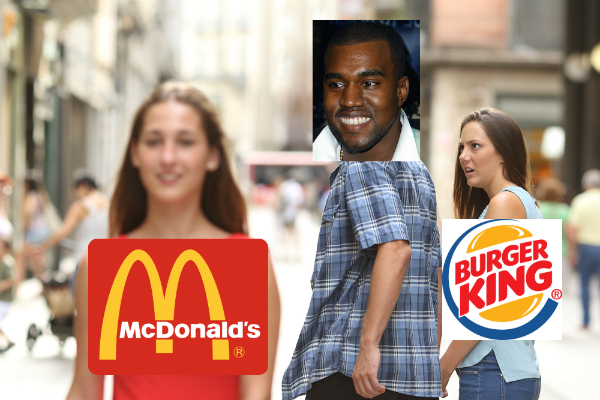 “McDonald’s is my favorite restaurant,” Ye declared. That’s one more thing he might have in common with “brother” President Donald Trump, who’s said to chow down meals from the Golden Arches on a daily basis. This time, it’s not Wendy’s that clapped back at West’s supposedly preposterous claim, but Burger King. Do you hear that sizzle, Ye? That’s the sound of Burger King’s flame grill set to high.